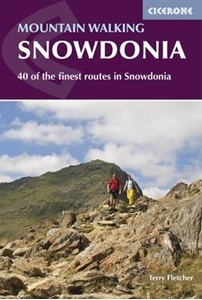 This guidebook describes 40 day walks exploring Snowdonia. It showcases some of the best mountain walks in the area, with routes up Snowdon and Tryfan alongside other classic peaks like Y Garn, Cadair Idris and the Glyders. Routes are graded easy to strenuous and include airy and pulse-quickening scrambles such as Crib Goch and Bristly Ridge as well as the Snowdon Horseshoe, the Nantlle Ridge and a 2-day traverse of all 15 of Snowdon's peaks over 3000ft. Walks range in distance from 4 miles (6km) to 16 miles (26km). Clear route descriptions are accompanied by OS mapping, and for each walk there is key information about distance, grade, ascent, terrain, access and parking. With useful advice on where to stay and when to go, and an English-Welsh glossary, this book is an invaluable guide to discovering both the popular and less well-trodden corners of Snowdonia. Snowdonia can justifiably lay claim to some of the finest mountain walking in Britain, from the bristling, jagged ridges of Snowdon to the huge grassy mounds of the Carneddau and the stone-girt fortresses of the Glyderau. These are big mountains with big personalities, with glowering crags and deep rocky cwms. Whether you are based in Bala, Beddgelert, Llanberis, Betws-y-Coed, Dolgellau or Capel Curig, you'll find walks in this guidebook to suit you.